For more than 40 years, every NASCAR Cup champion has relied on Moog ball joints. 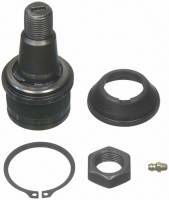 Check out the Recently Listed Ball Joints. Whether you are looking for an OEM replacement centerlink, or looking to improve your steering geometry with a racing centerlink, PitStopUSA.com carries centerlinks for many popular applications. Check out the Recently Listed Drag and Center Links and Components. 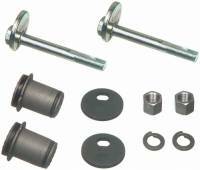 We have stock and adjustable idler arms for keeping your centerlink in line. 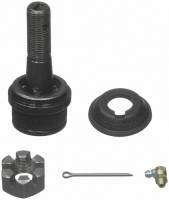 Check out the Recently Listed Idler Arms. Moog Centerlink Assembly - Camaro - Firebird, 1974-79 All, 1970-73 w/ Power Steering, 1970-71 w/ Special HP Pkg. Pit Stop USA is The Online Motorsports Superstore! Moog is the preferred brand of replacement chassis parts by professional technicians. 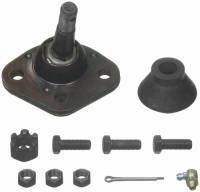 Moog products are specifically designed and developed for the needs of the aftermarket, to help solve steering and suspension problems and to deliver solutions that make installation easier. Professional technicians trust and value Moog because of their reputation for solving problems. Vehicle owners who use Moog parts enjoy responsive handling and the return of a alike-newa feel to their steering. 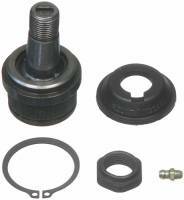 And for more than 40 years, every NASCAR Cup champion has relied on Moog ball joints for performance and durability. 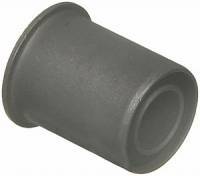 Moog chassis parts improve upon existing designs to deliver a aproblem-solvinga replacement product. Moog is constantly working to develop new products that improve steering performance. The innovations Moog engineers develop for the track, they reapply for the street. Moog has been the recognized leader in steering solutions for NASCAR for years. Moog Stock Replacement Chassis Parts feature M2 technology that delivers instant steering response and aturn-on-a-dimea handling. Ball joints have heat-treated, full-ball metal studs, exclusive double bearings and all metal agushera design. Double bearings even the load and provide smooth operation through the full range of motion and the agushera design allows grease to fully coat bearing surfaces for longer life. 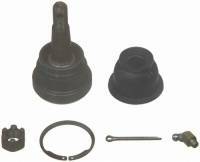 We feature Moog Ball Joints, Moog Upper Ball Joints, Moog Lower Ball Joints, Moog Idler Arms, Moog Tie Rod Ends, Moog Center Links, Moog Tie Rod Adjustment Sleeves, Moog Inner Tie Rod Ends, Moog Outer Tie Rod Ends, Moog Suspension Parts, Moog Steering Parts, Moog Control Arm Bushings and Moog Chassis Parts at low everyday prices!